Congratulations are in order for (one more) distinguished Tam-Brahm. We fully expect that dear Anna (elder brother in Tamil) will be enjoying a long, productive life and reaching even higher levels of glory (next step Nobel?). Why not question him on his views of the impact of Indian elections at home and abroad, and how it is creating cracks in the house of creators, to the point where a publishing house which owes its living to the First Amendment will black-list its own star author for the crime of holding politically incorrect opinions. We discovered a 2005 link from Sepia Mutiny (which died 2 years ago this April) and a separate link from Amardeep Singh (one of the mutineers). VS is referred to as a 2nd gen (1.9 gen) gent because he migrated to the USA at an early age. 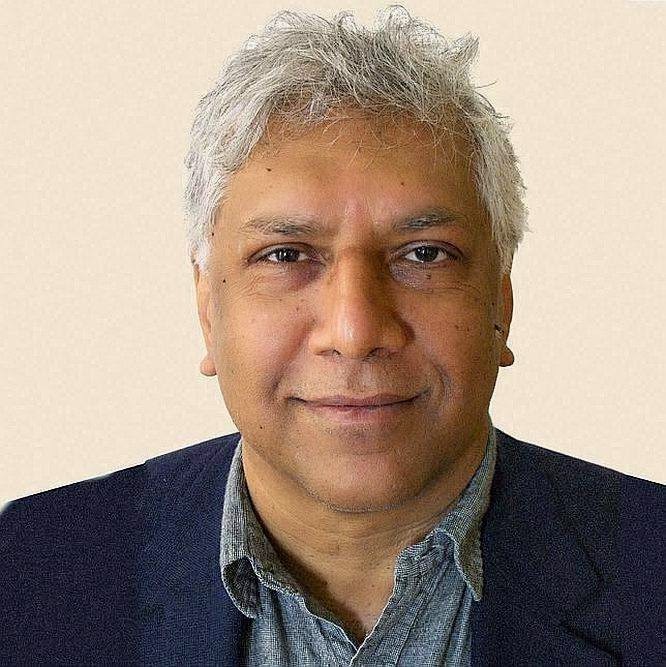 Bangalore-born Vijay Seshadri, who moved to America at the age of five in 1959, has won the 2014 Pulitzer prize for poetry for his collection of poems 3 Sections (Graywolf Press), which was described by the jury as "a compelling collection of poems that examine human consciousness, from birth to dementia, in a voice that is by turns witty and grave, compassionate and remorseless." Seshadri has received grants from the New York Foundation for the Arts and the National Endowment for the Arts, and has been awarded the Paris Review's Bernard F. Conners Long Poem Prize and the MacDowell Colony's Fellowship for Distinguished Poetic Achievement. He holds an A.B. degree from Oberlin College and an M.F.A. from Columbia University. He currently teaches poetry and nonfiction writing at Sarah Lawrence College, and lives in Brooklyn with his wife and son. His collections of poems include James Laughlin Award winner The Long Meadow (Graywolf Press, 2004) and Wild Kingdom (1996). His poems, essays, and reviews have appeared in AGNI, the American Scholar, Antaeus, Bomb, Boulevard, Lumina, the Nation, the New Yorker, the Paris Review, Shenandoah,Southwest Review, Threepenny Review, Verse, Western Humanities Review, Yale Review, the Times Book Review, the Philadelphia Enquirer, Bomb, San Diego Reader, and TriQuarterly, and in many anthologies, including Under 35: The New Generation of American Poets, Contours of the Heart, Staying Alive: Real Poems for Unreal Times, and The Best American Poetry 1997 and 2003.